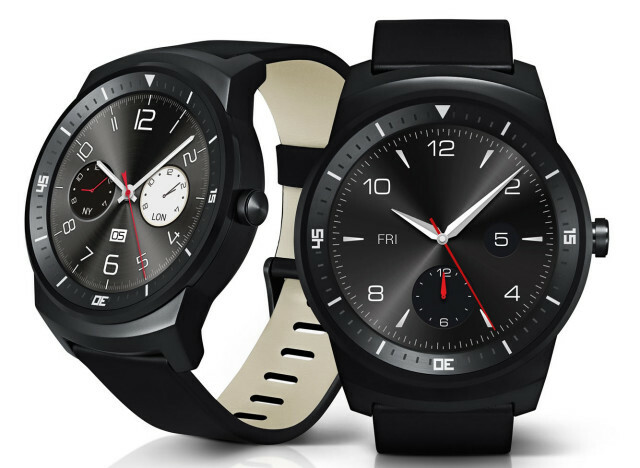 Just a few months after unveiling the G Watch, LG has embraced the circular form factor with the G Watch R. LG’s new smart watch is the first to incorporate a completely circular display, unlike the Moto 360 which has a portion from the bottom of the display cut. Starting off of first looks, the device looks gorgeous. It actually looks like an ordinary watch and does not give off the geeky/nerdy vibe of Android Wear’s first two devices. Infact the watch could be worn as a fashion accessory easily. The watch has a stainless steel body with standard sized replaceable straps which give it a more premium feel along with the option to customize. This time around, LG’s smart watch features a 1.3 inch 320 x 320 pixel circular P-OLED (Plastic Organic Light Emitting Diode) display which according to the company, shall offer great viewing angles along with the ability to be viewed under bright sunlight. The use of P-OLED should also prolong the G Watch R’s battery life, something that the original G Watch struggled with. What is surprising about the watch is its chipset. The device comes with a relatively powerful 1.2GHz Snapdragon 400 processor, the same SoC found in the Moto G. The G Watch R also packs a heart rate sensor to work alongside fitness apps and is IP67 certified for dust and water resistance, which for a watch is always a plus. The LG G Watch R will launch in the fourth quarter of 2014 in black although LG has not announced details on pricing. The device will surely be on the show floor at IFA so we will keep you updated.